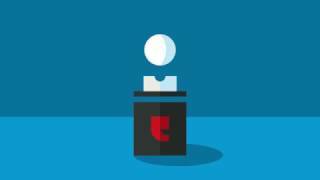 Welcome to BI+Analytics TV! Check back often for loads of exciting videos and keynotes from industry thought leaders offering insight and advice on some of today’s most pressing analytics topics. Sunny Huntington Beach, California set the backdrop for this year's stellar event. 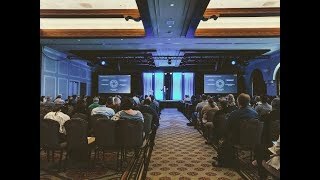 Follow along as we recap some of the highlights of the 2018 conference. 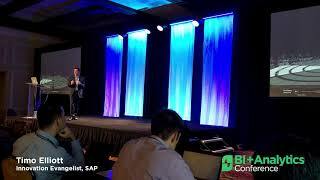 BI+Analytics gave access to global thought leaders, local peers, and industry experts to people using BusinessObjects and the full range of SAP’s analytics and reporting tools. With the help of these experts, attendees learned how to lead with analytics, maximize current software investments, empower super users and create a BI strategy and analytics team that exceeds the needs of the business. Keep up-to-date on conference content and updates by following @BIAconference on Twitter and @EventfulConferences on Instagram. This session by Timo Elliott looks at concrete success stories of how companies like yours are helping users turn business intelligence into real business innovation, including new customer experiences, new business models, and new ways of creating business value. But new opportunities bring new challenges, and today’s business users have different expectations than the past. Join this session to hear the concrete steps you can take to bring traditional business intelligence into the modern age, including “modern” self-service BI and data preparation, predictive analytics, and the rise of the Hadoop/Spark ecosystem. Turning data into a business advantage through optimization is the goal of most organizations. The ever-growing availability of data, along with expanding computing power and tools, opens the door to businesses gaining competitive advantage through analytical processes and skill. For UPS, process reengineering, data management, and advanced analytics are core to performance improvement. Jack Levis, Senior Director of Industrial Engineering at UPS, will share his experiences and best practices to compete with analytics, requiring organizational support in the form of data, tools, and senior management commitment. Craig Powers of ASUGNews recaps the 2017 BI + Analytics conference, which featured plenty of talk on building beautiful visualizations with SAP products and beyond. Also, Powers updates the latest news on SAP Lumira 2.0. 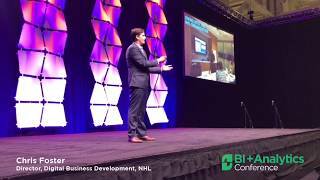 Chris Foster, Director, Digital Business Development at the NHL discusses their partnership with SAP. Using a collaborative design and thinking process - and involving numerous stakeholders and departments in the conversation - the NHL has been able to truly enhance the fan experience with stats, data and analytics. 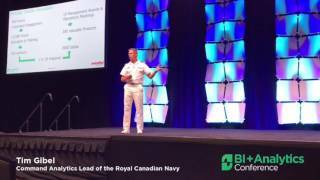 Tim Gibel, Command Analytics Lead for the Royal Canadian Navy, discusses why dedicated executive sponsorship is critical to success for your organization's analytics initiatives. 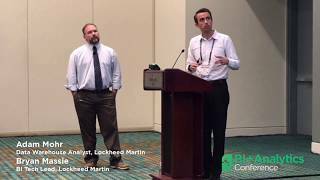 Lockheed Martin's Adam Mohr (Data Warehouse Analyst) and Bryan Massie (BI Tech Lead) discuss why team collaboration, knowledge sharing, communication and design review meetings are critical to analytics success when dealing with large teams. Eventful Conferences’ own Steve Morris chats with Jamie Oswald and Clint Vosloo to discuss the upcoming reinvigorated BI+Analytics Conference (formerly SABOC). 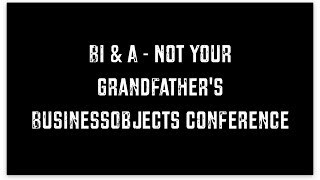 An Eventful conference is a little different than the old SABOC (and any other SAP Analytics conferences) and the gang unpacks what’s different and why. When the NHL took 100 years of information and turned it into a consumable platform for its customers, it changed the game completely. 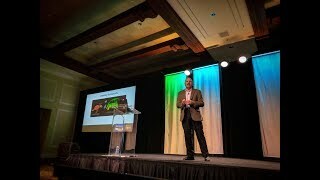 This sneak peek into Chris Fosters’ presentation on harnessing the power of the possible – and taking the NHL into the digital age with SAP – is a testament to the power of analytics. 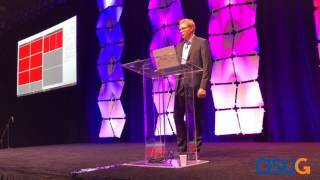 : Ever wondered what makes our keynote speakers tick? 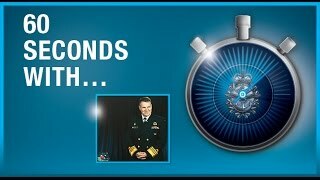 The Royal Canadian Navy took 60 seconds with Vice Admiral Ron Lloyd to share some of the things that motivates him to be a part of the RCN team. 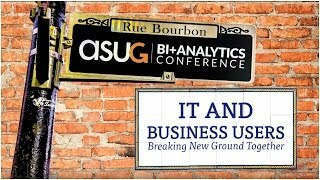 Last year’s ASUG BIA Conference brought this event to an unprecedented crowd in the Big Easy, and Eventful Conference is thrilled to be taking things to the next level in Nashville this year.